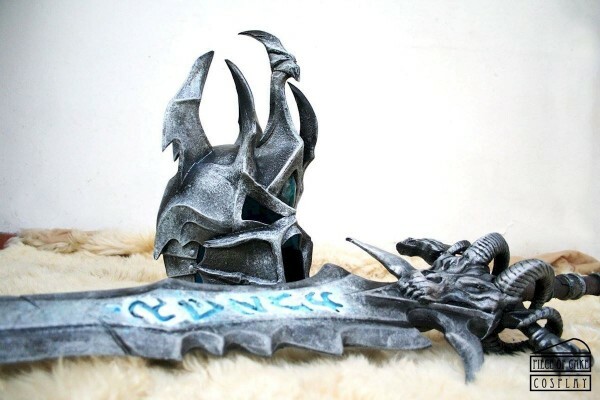 World of Warcraft Arthas Menethil Lich King Costume « Adafruit Industries – Makers, hackers, artists, designers and engineers! Arthas Menethil started life as a Crown Prince and ended up as an evil Lich King. Oops. It happens, right? The positive thing about the Lich King version of Arthas in World of Warcraft is his armor. It’s grand and striking and begging to be turned into a costume. 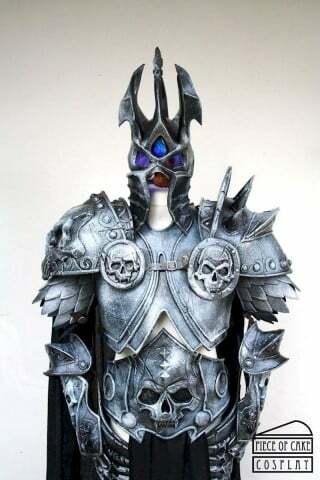 Piece of Cake Cosplay created this beautiful set of Lich King armor for Lucca Comics. The detailing on the armor is something else — they nailed the metallic color and texture. Piece of Cake specializes in making costumes, weapons, and props on a commission basis. 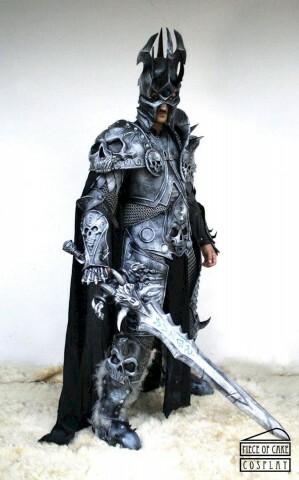 That means if these photos make you want a Lich King costume of your very own, all you have to do is reach out to them and start talking costs.